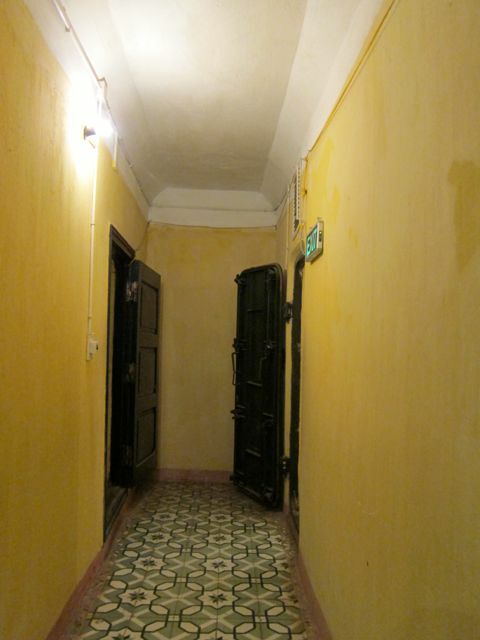 The Citadel in Hanoi was a complete surprise. Its thousand year history as the home of Vietnamese dynasties (built by the Ly Dynasty in 1010) was well known and well covered in the sort of literature that gives tourists a bit of breadth. 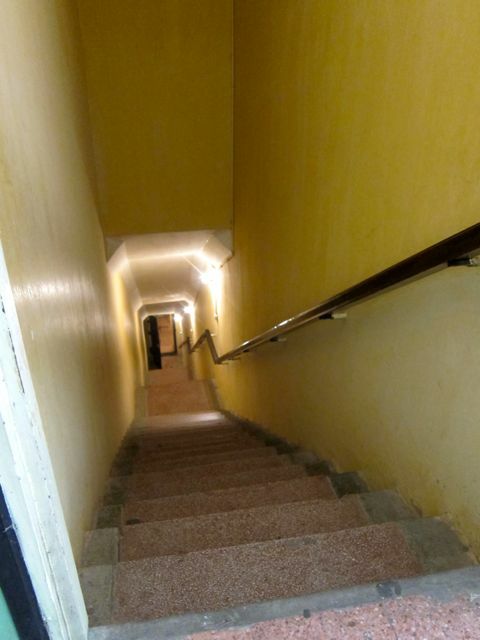 ​But as we walked in we also began to experience a much more immediate history. This was where General Giap and the Vietnamese military leadership led the destruction of the French and the defeat of the Americans. And the sense of irony created another dimension as we learn of its use as the home of French artillery regiments when Hanoi was a centerpoint of the French Indochine Empire. So the Citadel itself is a curious blend of foundations built at the time of Angkor Wat and the Tang Dynasty in China with threads of history that still cause us to look in the sky and wonder how the B52s could have overlooked this most tempting of targets. The Citadel in Hanoi is aptly the ancient overlaid with the modern and left as a contemporary memorial and museum. New university graduates traditionally come here to have their pictures taken. 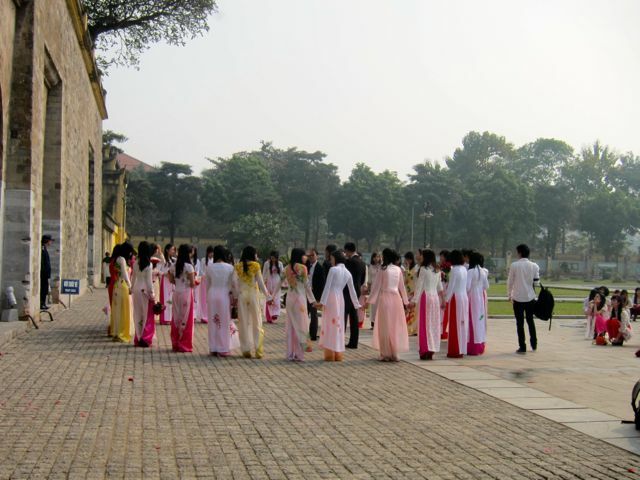 All in their colourful Ao Dai, the female graduates add colour to the Citadel. We were lucky to have chanced this on the day we visited the Citadel. The picture below is the statue of the turtle inside the Citadel. 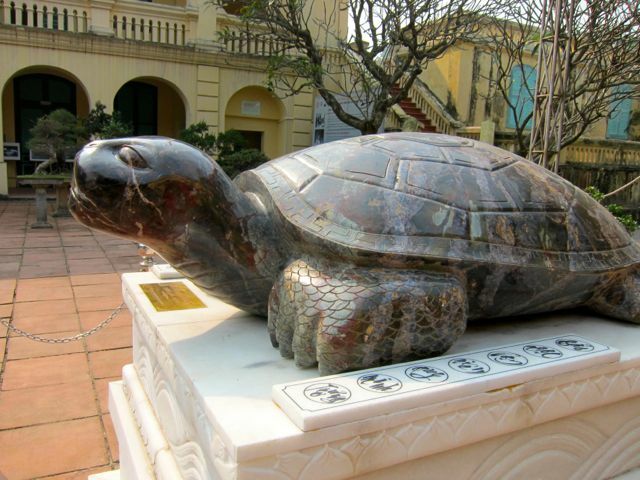 The turtle like the phoenix and the dragon are Vietnam's traditional symbols.